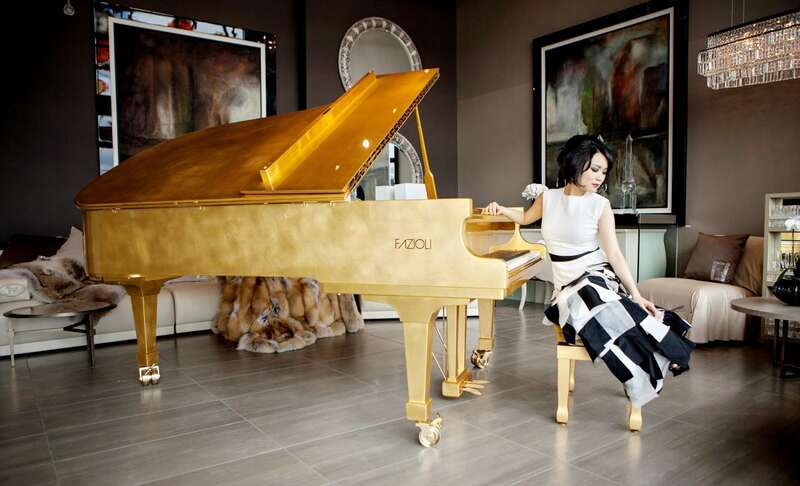 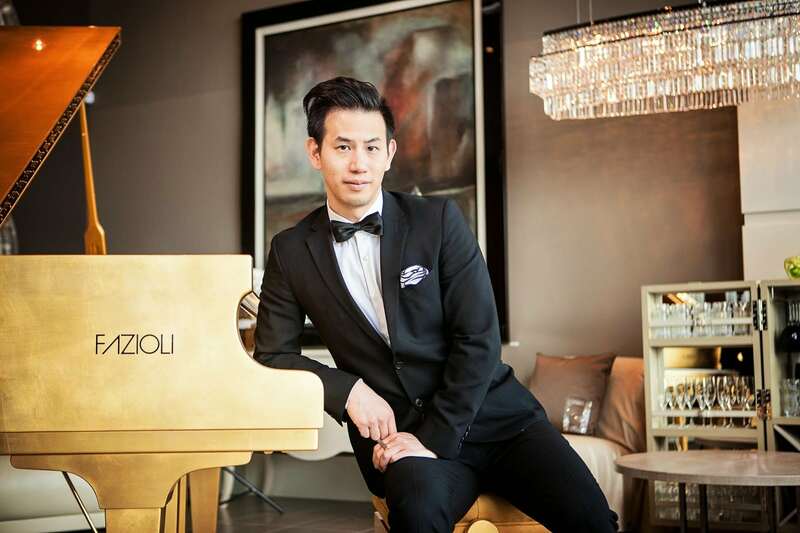 VANCOUVER, BC – In April of 2014 local photographer Scott Adolph of Sculptures of Light Photography did a photoshoot with the world’s only 24k Gold Leaf Fazioli that is at the beautiful Lloyd Bruce Home furniture store in Coal Harbour. 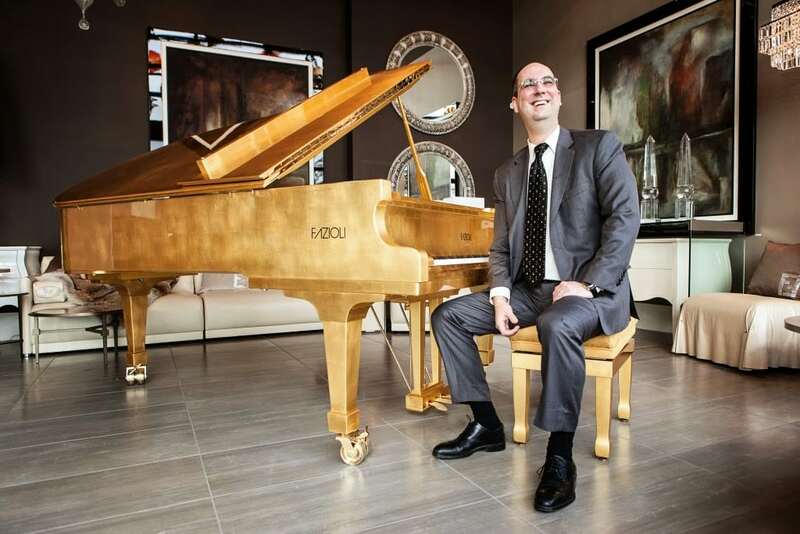 The store only carries fine furniture that is made by hand in Italy, and they are the exclusive dealer for FENDI CASA, Giorgio, PRADA, and also the new line of Bentley furniture. 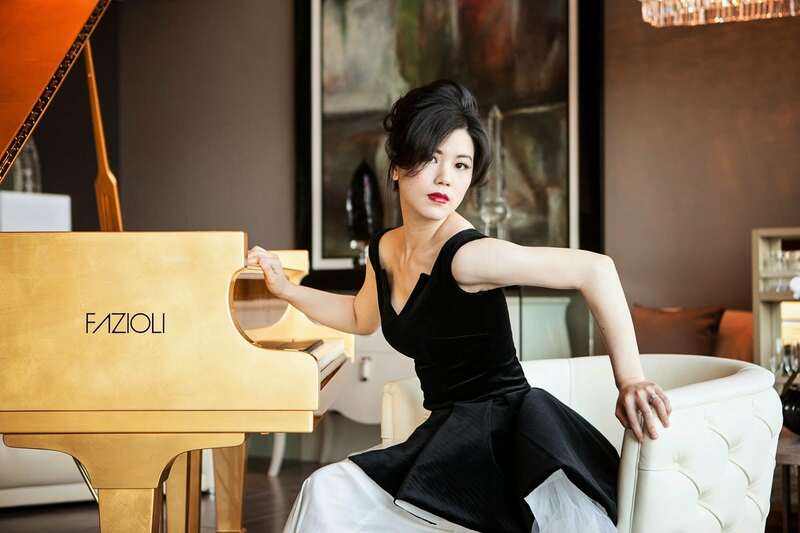 Pianists Clare Yuan, Daniel Chow, Emma Hoglund, Olivia Cai, and Wenwen Du were all invited to join the photoshoot. 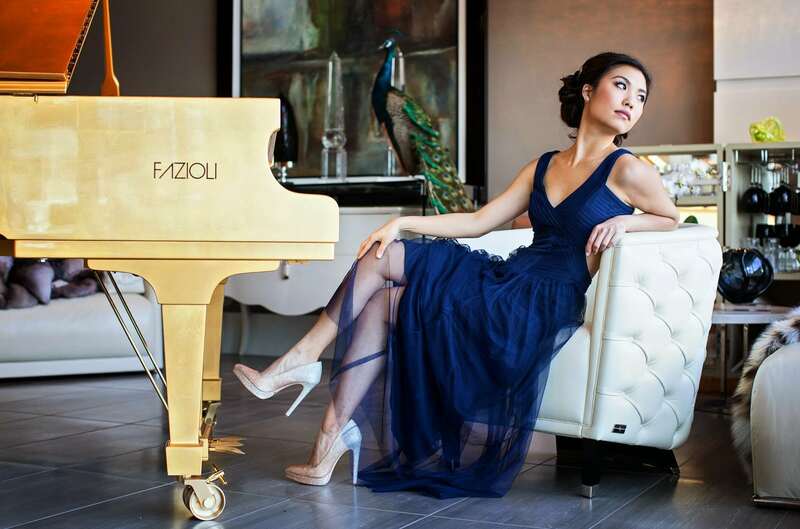 Lloyd Bruce Home is located at #150 – 510 Nicola Street, along the sea wall, just a few steps west of Cardero’s Restaurant.